BSA found development value of subject lots could not be previously realized. On December 16, 2014 the Board of Standards and Appeals voted to grant the applicants, West 29th Street Owner’s Corp. and The Flower House Condominium, an amendment of previously existing variances on two lots. The amendment is required to merge the lots into one zoning lot and transfer their development rights to an as-of-right hotel in development on an adjacent site. The subject lots are Lot 7502 on 111-113 West 28th Street and Lot 49 on 114-120 West 29th Street, between Sixth and Seventh Avenues. 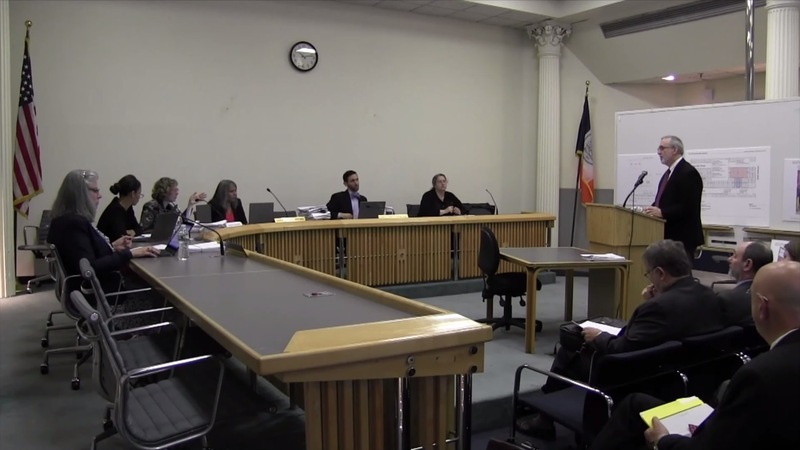 At the November hearing, Mr. Goldman addressed concerns about the hotel’s development site, Lots 30, 31, and 32 on 105-109 West 28th Street. Mr. Goldman testified the site was not ripe for development as the three lots were not under single ownership at the time work began on the 2003 variance. Mr. Goldman provided a report that confirmed there was no demand for hotel land or development rights in 2003, and testified hotel planning for the development site did not begin until 2013, with no activity in the area previously. Mr. Goldman finished by testifying at the time in 2003, the development site lots held buildings with rent-stabilized tenants. If any hotel development was in the works, agreements for relocating the present tenants would have to have been made, but none were even begun. Eric Stern, chair of CB5’s Land Use Committee, spoke to repeat their objection to the “manipulation of the land use and the variance process.” Mr. Stern highlighted language in documents from the Flower House Condo reserving development rights as indication of intent to develop in the future. Mr. Stern also opposed the applicants’ residential tenants argument, asking why buying out the rent-stabilized tenants in the area is now feasible when in 2003 it was not. Mr. Stern finished by claiming an amendment in this case would set a precedent of developers using variances in a predatory manner, applying for a hardship variance anytime there is a market downturn, then waiting ten years to profit from the development rights. Mr. Goldman responded, arguing the condo’s reservation language was standard legal practice done in every condo agreement, and not evidence of ulterior plans. Mr. Goldman denied the allegations of precedent, repeating his previous statements that variances do not add value to properties but only bring them up to financial par with their neighbors. On December 16, 2014 the Board voted 4-0 to grant the waiver. In its decision, the Board found the evidence supported the conclusion that no foreseeable use for the development rights existed at the time of the variances. The Board also denied the assertion of setting a precedent, stating Bella Vista requires the Board to make determinations on a case-by-case basis. BSA: 111/113 West 28th Street, Manhattan (148-03-BZ) (Dec. 16, 2014) (Goldman Harris LLC, for The Flower House Condominium, owners), 120 & 114 West 29th Street, Manhattan (1096-79-BZ & 1097-79-BZ) (Dec. 16, 2014) (Goldman Harris LLC, for West 29th Street Owner’s Corp, owners),116-118 West 29th Street, Manhattan (902-79-BZ) (Dec. 16, 2014) (Goldman Harris LLC, for West 29th Street Owner’s Corp, owners).